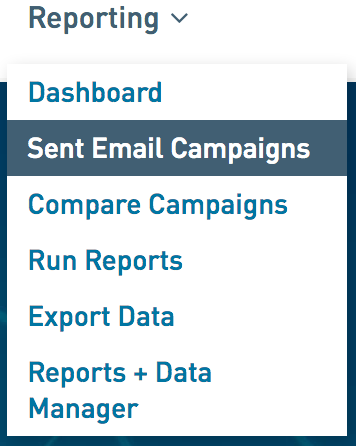 In WordFly, you can review heat maps in any email campaign reporting. Heat Maps visually highlight the clicked links in your email by placing a color over the areas in your email depending on the number of clicks. Heat maps provide valuable detail in your email, showing you exactly which parts of the email are receiving the most attention and interaction by your subscribers. A different color is generated for each unique number of clicks on the email template. No color displays over links with no clicks. We start with four basic colors: red, yellow, light blue, dark blue. *If multiple links have the exact same number of clicks, they will all share the same color. Heat Maps look at where your subscribers are clicking in the email. All percentages and totals are based on clicks. These calculations are similar to the overall campaign reporting except that only clicks are being reviewed. *Review how campaign reporting rates are calculated in this support post. When there is no heat map icon present this means the email email template used in the campaign is no longer available, i.e., deleted. The Heat Map uses the assigned email template. 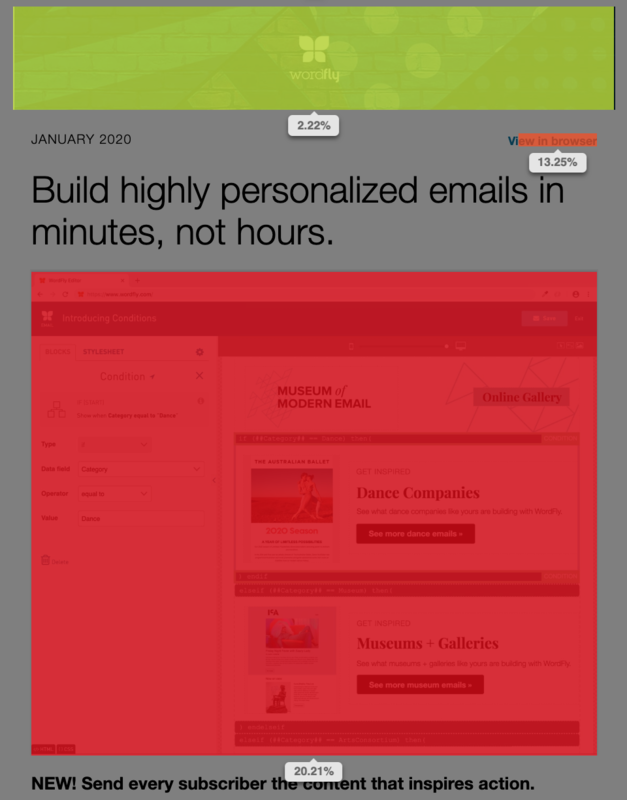 Changes made to the email template after the email campaign is sent will display in the Heat Map. 1. Go to Reporting > Sent Campaigns. 2. Click on the Campaign name that you would like to review. 3. Click on the heat map icon. 4. Review your heat map data. See total click percentages on each color highlight. Use the toggles to review heat map data in various ways. Use the SHOW | HIDE toggle to display or hide the heat map color highlights. Use the % | DETAIL toggle to see more details. On the DETAIL display, hovering over a color highlight displays total or unique clicks and includes the actual link. Click on the link to view it in your browser. Use the TOTAL | UNIQUE toggle to view your click data differently. TOTAL shows all the clicks on a link, including multiple clicks by the same subscriber. UNIQUE shows only how many subscribers clicked on a link and does not count multiple clicks by the same subscriber. Use the GLOBAL | MOBILE toggle to see the heat map from the mobile version of the email. Toggle to MOBILE and see your heat map results for the mobile version of your email. This is helpful to show clicks on areas of the template that are only displaying on the mobile version of the email. *Note: The mobile version does not split out actual mobile clicks (such as if the user clicked from a mobile device). You can export your Heat Map data right from the review screen. Export your data as a CSV, PNG or PDF file. 1. Open your email campaign Heat Map. 2. Select the drawer arrow at the top of the Heat Map. 3. 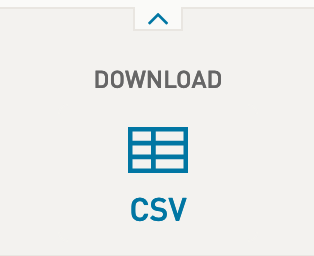 Select the option to download as a CSV. 3. Select the option to download as a PNG. The PNG will download immediately to the folder specified on your machine for internet file downloads. 1. Open your Campaign Heat Map. 3. Select the option to download as a PDF. The PDF will download immediately to the folder specified on your machine for internet file downloads.